Rapper Drama, a former client, threatened to bomb Parks' office because he holds her responsible for his downfall. If Phaedra Parks doesn’t endure enough drama during the taping of The Real Housewives of Atlanta, then she certainly made up for any unfulfilled, anticlimactic life moments when she became the target of a bomb threat yesterday morning. 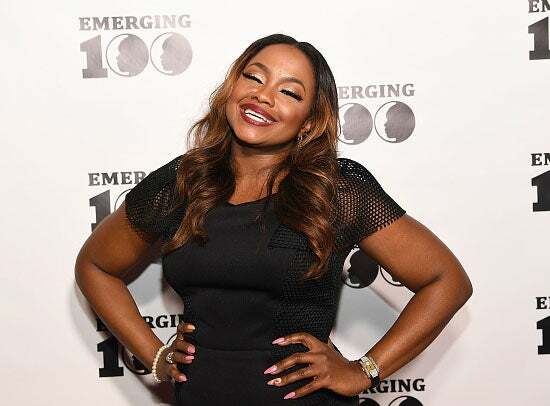 According to TMZ, Phaedra used to to manage Drama in 2000 when he was an “up-and-coming rapper in Atlanta.” Three years later, Parks worked as Cook’s lawyer in a robbery case that sent him to prison for 12 years. Phaedra was removed from the case before her former client was sentenced, but sources say “he blamed Phaedra for his downfall in life … including his long prison term, defunct rap career, and skydiving injury,” TMZ reports. Atlanta CBS news reporter Dante Renzulli posted a picture of Terrence Cook on Twitter after his arrest. While no actual bomb was found on Terrence or the premises, Cook was charged with terroristic threats and creating a false public alarm.